Hello Dealsnloot readers,you must be looting a lot this month. Now here i am with a exciting trick to transfer Mobikwik balance even after your mobikwik monthly exhaustion.Now a days there are so many wallets like paytm,mobikwik,freeCharge,citrus..etc and we all add money for different offers.These money and some cash backs may be dead in these wallets as the minimum balance needed to bank transfer is pretty high.So many users requested us to provide a trick to transfer wallet balance of Rs.50 or above to Bank.Grab This Loot offer and trick. Why this trick is considered as loot? Paytm needs Rs.2000 to bank transfer at 4% commission. If you don’t have the app simply, Install it from Here. Put your basic details and do signup. (skip if you already have the app). Now, go to recharge tab available inside it. Click over Add to wallet option. 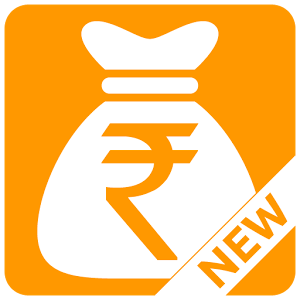 Now load Rs.200 using Mobikwik payment mode. Put your bank details and do IMPS transfer. In few seconds you will get message of successful transferring. You need minimum Of Rs.50 in your FreeB wallet to make a bank transfer and maximum Bank transfer is Rs.1000. You can add Rs.200 or more to get rs.10 cashback ( Valid for 5 transactions per month). Normal Transfer charge of 4% will be applied. Also your can earn through Referring your friends. Also you can earn up to Rs.50 per friend by referring them to FreeB and do earns.